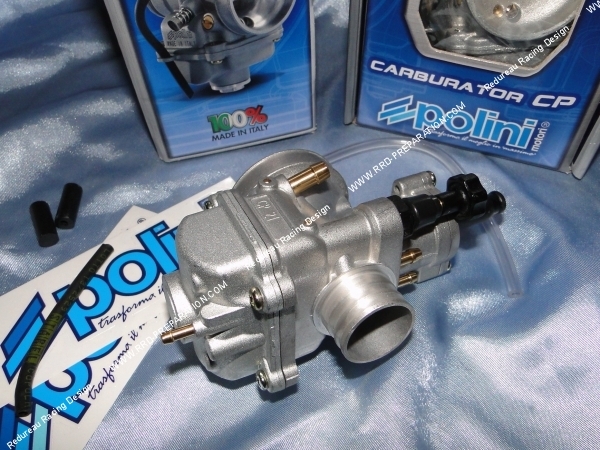 71,15 € 71.15 tax incl. 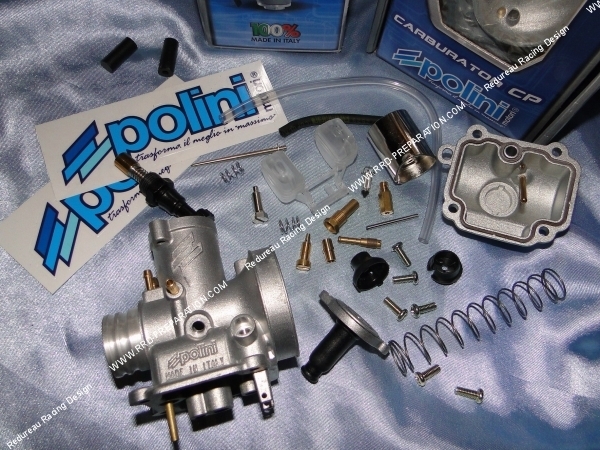 Here is the basic standard version of the CP type 21mm POLINI MOTORI, it is a high-performance carburetor, made in Italy 100% and not in China, high quality that is easier to adjust! 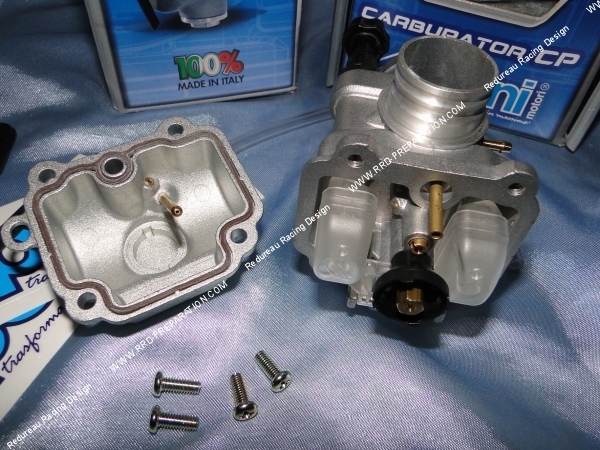 This version is the standard, it has a separate grease outlet and a plug for depression, its choke is a lever pull cable model choices. 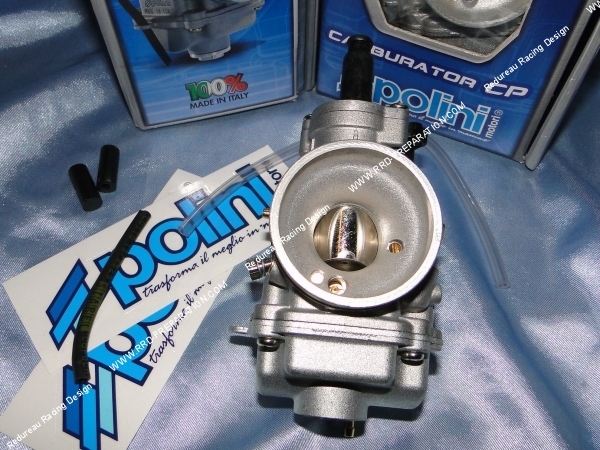 Basically, when we go on a carburettor POLINI CP, we already know that we buy a much lighter carburetor than a DELLORTO, with a much better anti-emulsion worked, a tank always aluminum, a finish out of the ordinary, easier settings, an excellent leak-free needle valve system, .. 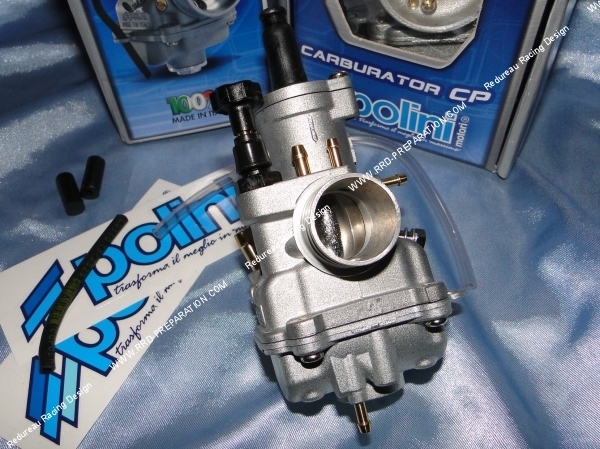 This version is a superb base for the engines equipped or origin very well released with a racing exhaust, it is simple to adjust and will be perfectly suitable for the engines operators of high revs! You can modify it to your sauce with all the accessories of adjustment that we sell, big diameter tulips exist also for the installation of the filters with big entrance and to improve the venturi effect! 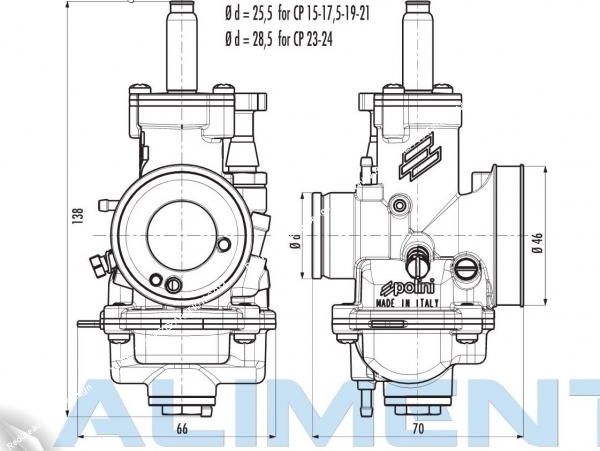 A tank with cap is also available for faster adjustment. The bushel is a D / 24mm, cut 30 °, nozzle 100. The needle is a CP 14 22, one after well in 2,7 -21! 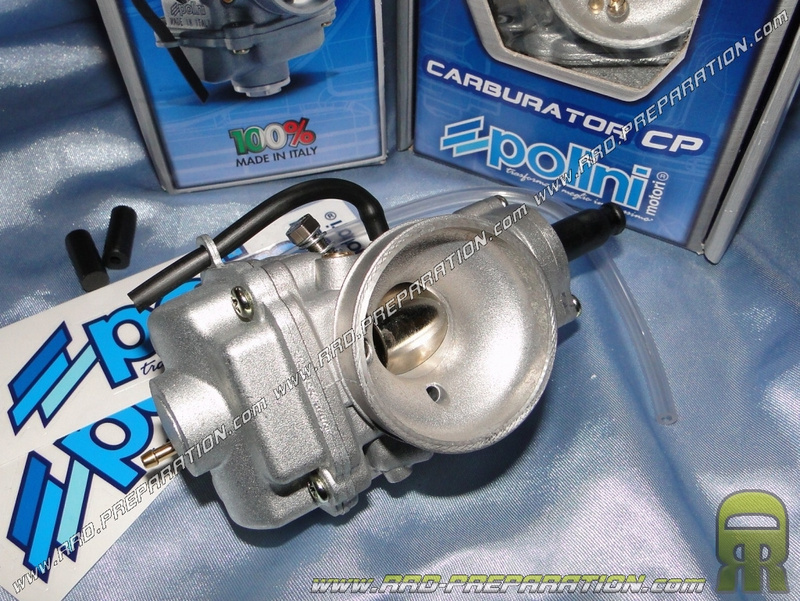 You'll understand, it's a carburetor decidedly sporty with a really nice price! 2 shutters are delivered to you if you do not want to use the sockets!